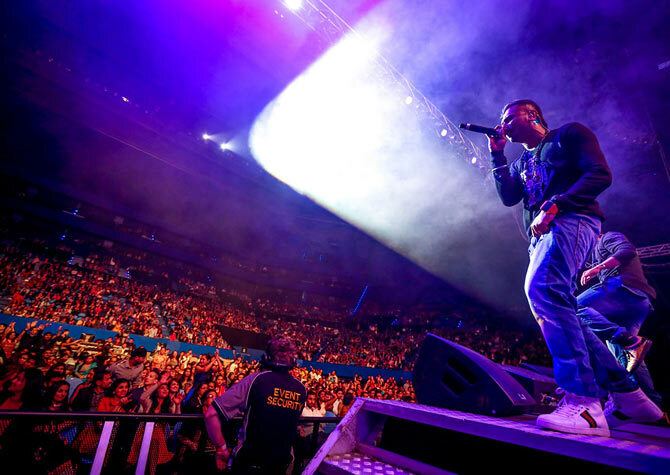 After mesmerizing the audiences in Auckland and Sydney, Shah Rukh Khan and his leading ladies -- Rani Mukerji, Madhuri Dixit and Jacqueline Fernandez -- put up a dazzling performance in Perth, Australia. Shah Rukh and Madhuri, who worked together in Dil Toh Pagal Hai and Devdas, strike a pose during the performance. Shah Rukh performs with his Chalte Chalte and Kabhi Alvida Na Kehna costar Rani Mukerji. Jacqueline Fernandez shows off her moves with Shah Rukh Khan. 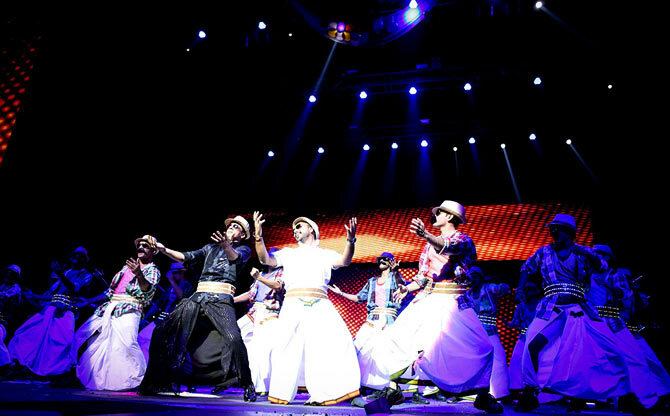 SRK shares the stage with Yo Yo Honey Singh, who sang the popular song Lungi Dance in Chennai Express. 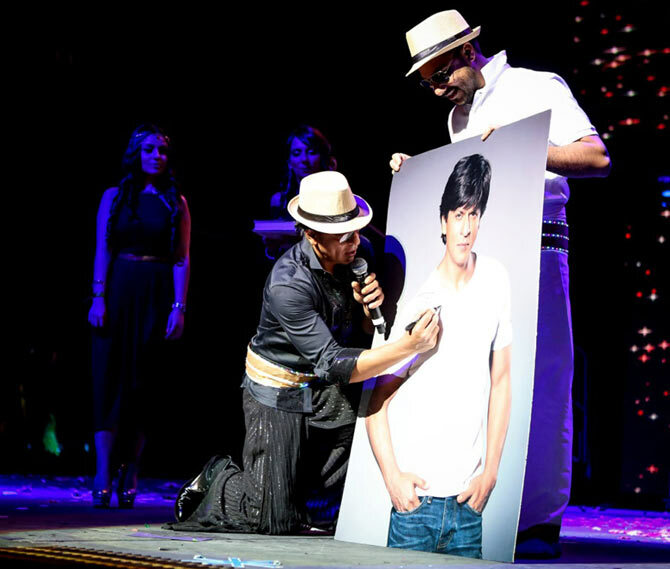 Shah Rukh obliges a fan by signing a poster. The audience clearly loved the show.